Yesterday hubby came home from work saying he needed to bring "something" to work for Food Day (today!) and the theme is Italian. My first thought was that everybody'll bring pasta (turns out nobody did, go figure), so then my thoughts turned to these Easy Peasy Bread Sticks. I also remembered a biscotti recipe I used once that was quite easy and turned out well. 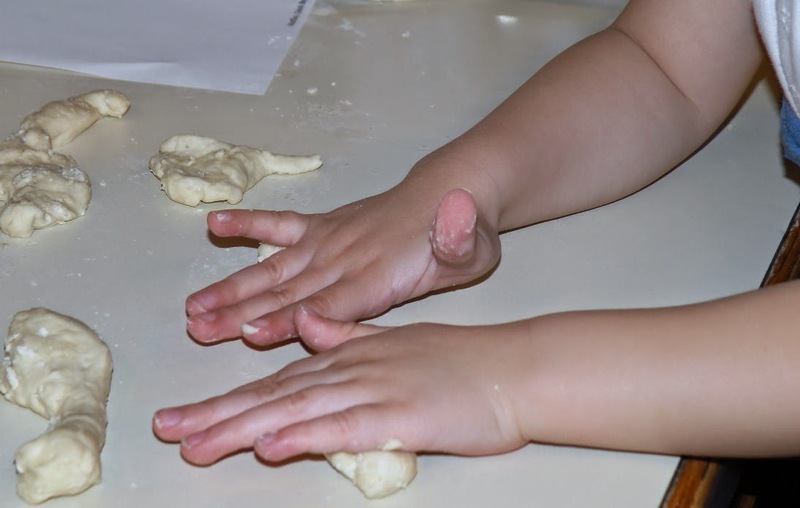 Usually when your 3-year-old "helps" in the kitchen, it's more of a hindrance than an actual help, right? Well, to my utter delight, I actually found myself being helped by Miss M! 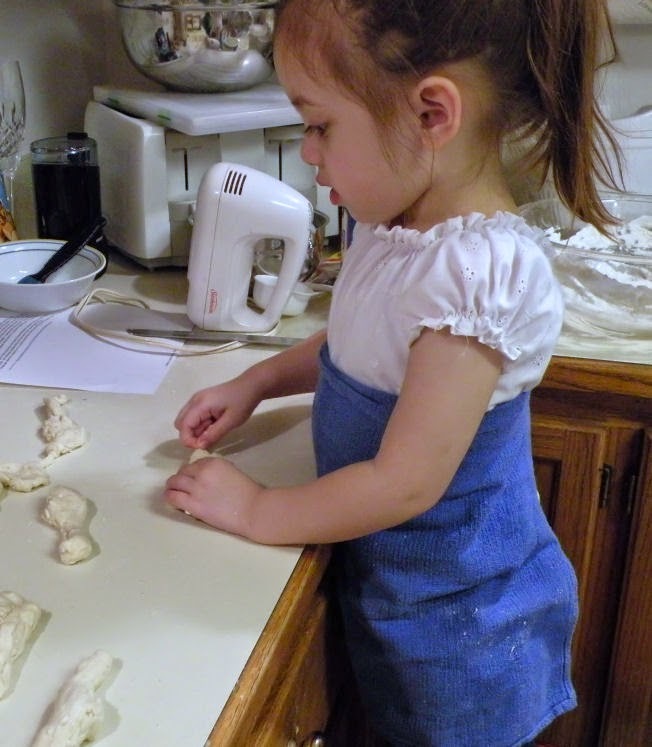 She did much better rolling out the breadsticks than I had anticipated and ended up doing almost all of them herself! I did the messy work...dipping in butter and Parmesan. 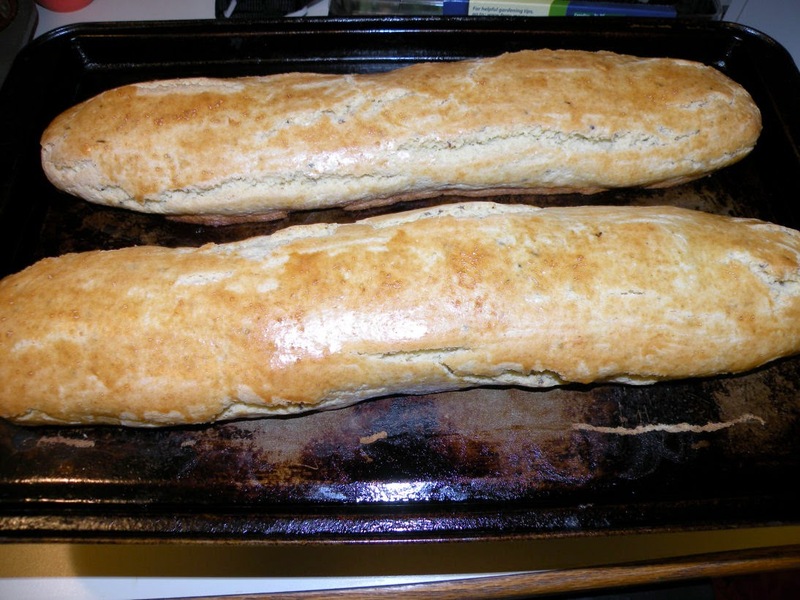 The breadsticks, I might add, turned out amazingly! The recipe was perfect in every way. The biscotti recipe I used is D'Amaretti Biscotti from allrecipes.com. I used anise seed instead of lemon zest and left out the almonds since I didn't have any on hand. 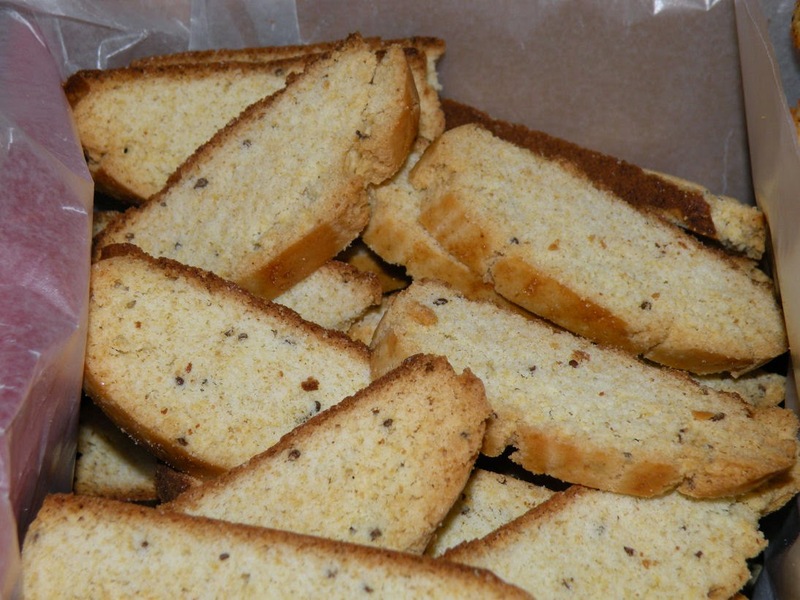 It also took about twice as long to toast the slices (10 minutes on each side, rather than just 10 minutes). Miss M was very interested when I separated the egg yolk from the whites. I don't think she'd seen me do that before. I'd have loved to drizzle melted chocolate over them...if only I'd had the time...and the chocolate! 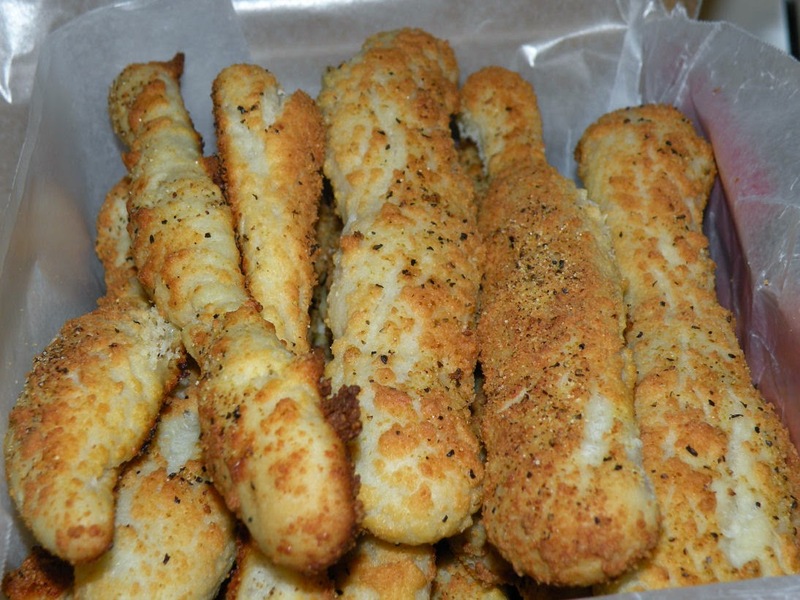 Hubby says both the breadsticks and the biscotti were big hits with his coworkers -- even the "big wigs."